So you want to build a console table? This is our DIY Console Table build. In this video we show you how we built this media center table. We started off with a basic idea of what we wanted to build. During the process of building the media cabinet, We improvised along the way. 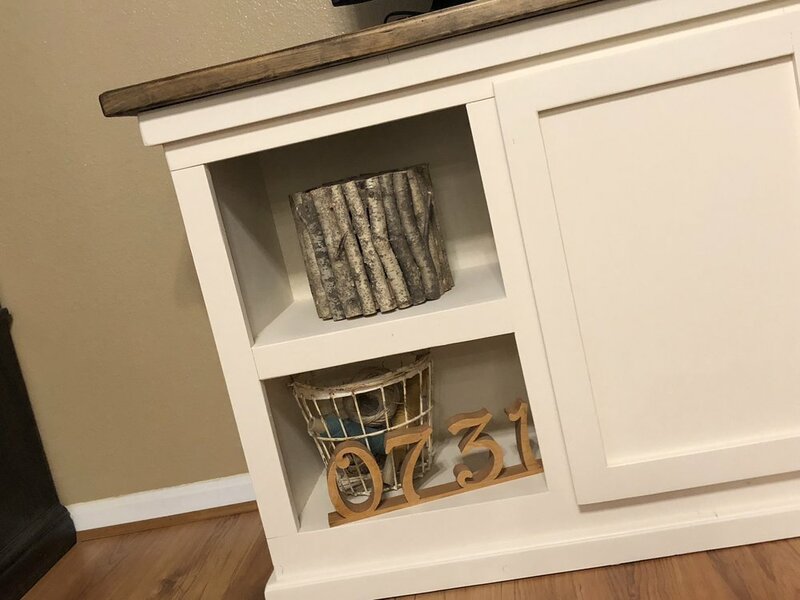 We searched YouTube for how to build a console table and saw several videos but none that had exactly what we wanted to build. So we decided that we would make our own how to build a media center video. 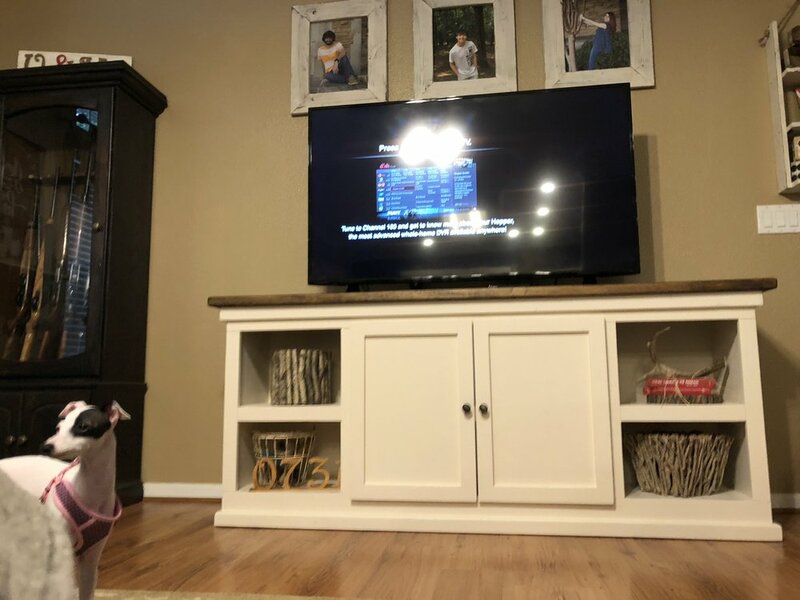 Building a tv stand like this cost us about $200 in materials. I used 1 sheet of 3/4" sanded birch plywood, 1 sheet of 1/4" plywood, several 1x6's that I ripped down. 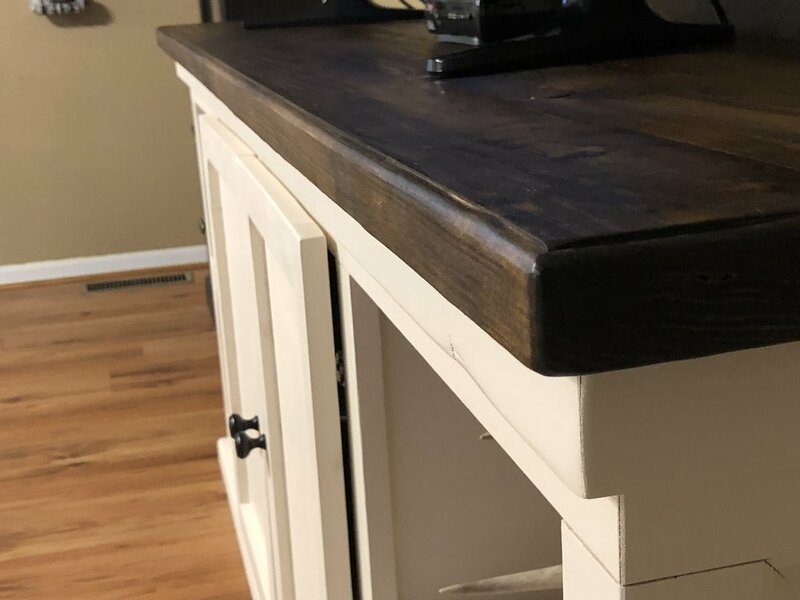 1 1x4 and 4 2x6's for the top and of course the door hardware..
We built this farmhouse console table using pocket hole joinery, wood glue, concealed hinges on the doors and table top fastners to secure the top. The media center doors are also made with pocket holes. 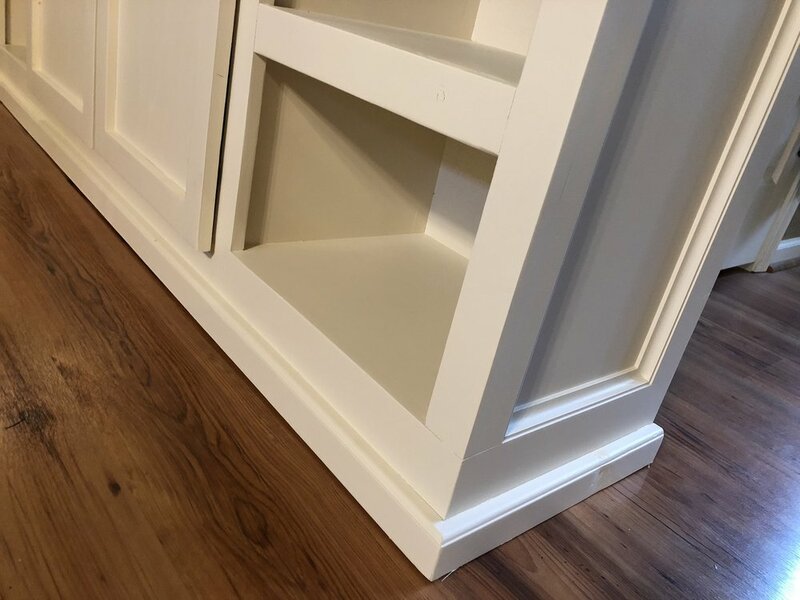 We went with a shaker style doors for the cabinet. We decided to put the 2 doors in the center of the console table and leave each end open for storage and home decor. 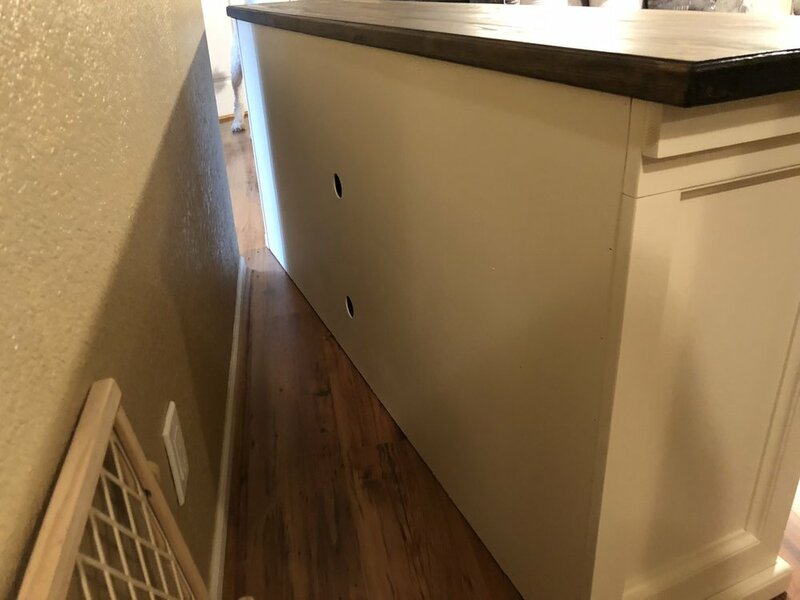 You could put 4 doors on the cabinet, no doors, or 2 on the ends instead of the middle. It can be customized any way you wanted to build the media center. We really enjoyed building this piece. 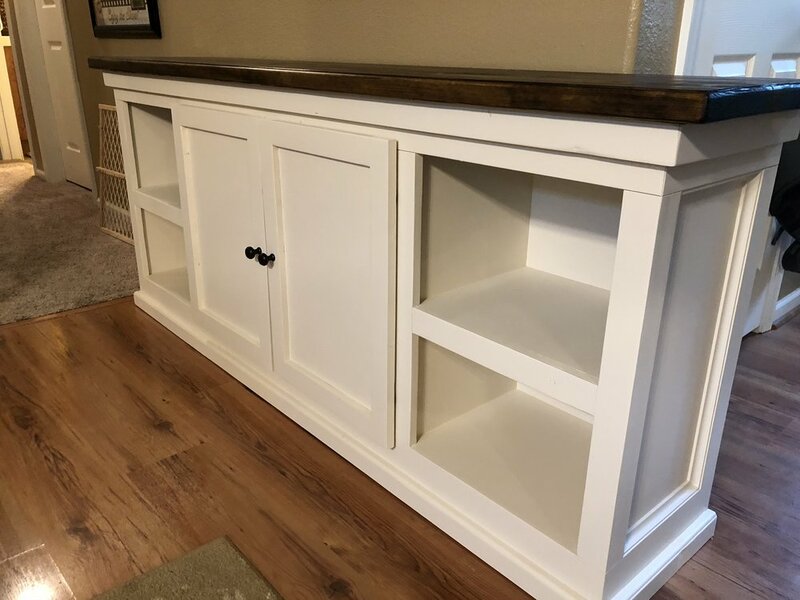 Building farmhouse furniture like this is enjoyable to me because you can take simple materials and tools and make something amazing. We know this farmhouse console table isn't perfect, but it is beautiful. DISCLAIMER: This description contains affiliate links, which means that if you click on one of the product links, I’ll receive a small commission. This helps support the channel and allows us to continue to make videos like this. This adds no cost to you whatsoever. It just helps support what we are doing. Thank you for the support!